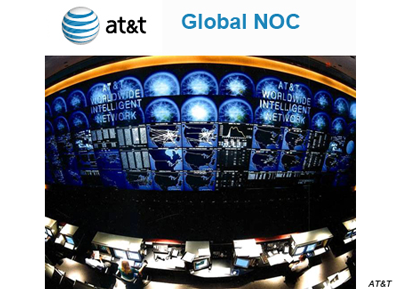 AT&T launched the next generation of its Supplier Domain Program with the aim of selecting vendors to support its rapid evolution to cloud-based infrastructure leveraging Network Function Virtualization (NFV), Software Defined Networks (SDN) and modern operational approaches. Under the Supplier Domain 2.0 Program, AT&T plans to begin selecting vendors and awarding business beginning in late 2013 and through 2014. The company said it expects some of these capabilities will come from its current providers, while others will require some new providers with different skills and capabilities. AT&T also noted that it is not revising its previously announced capital expenditure guidance for 2014-15 as a result of this announcement. However, in the next five years, AT&T expects this program to reflect a downward bias toward capital spending. "Our goal is to ensure that each investment accelerates our move towards an advanced all-IP broadband, all-wireless, and all-cloud infrastructure, delivers on the full promise of game-changing technologies, provides an industry leading customer experience, and maintains focus on a capital-efficient network," said Tim Harden, President, AT&T Supply Chain. In September 2009, AT&T outlined a new "Domain Supplier 1.0" program aimed at transforming the way it purchases network equipment. As a key part of the program, the company has established a number of "domains" -- areas of the future network bounded by a particular technology set, such as wireline access. Within each of these domains are target technologies. For example, the wireline access domain includes technologies such as IP/DSLAM and FTTx. 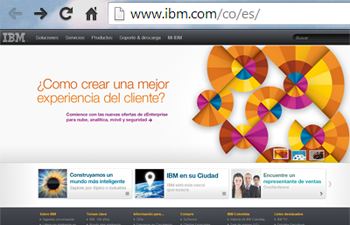 Each domain will have two suppliers selected and pre-qualified by AT&T. AT&T said it will work closely with selected suppliers over a multi-year period in order to define solutions that meet current and future needs. This includes sharing timelines, project roadmaps and other information, enabling suppliers to more quickly realize revenue due to expedited deployment of their hardware or software. In addition, regardless of the size of the initial business award from AT&T, each supplier within a domain will have an opportunity to expand the award beyond its initial scope. The Optical Internetworking Forum (OIF) Carrier Working Group has completed a carrier requirements document addressing the transport network relevant part of a Software Defined Networking (SDN) architecture. The combination of TN-relevant SDN architecture components – Data Plane, Control and Management Plane, and Orchestrator – and the relationship among them are referred to as “Transport SDN”. The document supports the evolution of transport networks towards SDN architectures, summarizing what is already available and highlighting new features and functionalities to support the deployment of SDN applications,services and technologies. The OIF said the next step will be to develop an SDN framework document that will provide future SDN related specifications and Implementation Agreements and also give structure to future OIF interoperability demonstrations. The OIF's focus on Transport SDN involves the management, control and data plane layers of the network, as well as the new Orchestrator – coordinating actions among data centers and transport networks. Among carriers, there is a strong desire for a consistent set of SDN related standards and specifications to enable a seamless migration to SDN architectures. With a carrier requirements document in hand, equipment vendors can work to specify interfaces among SDN components such as network elements, different types of controllers and orchestration instances. "I am more than happy that we have achieved our first milestone in defining carrier requirements on Transport SDN,” said Hans-Martin Foisel of Deutsche Telekom and the OIF Carrier Working Group chair and OIF board member. "This will not only guide our next steps inthe creation and implementation of technology to support Transport SDN but also will focus our communications with other SDOs and forums so that we can work together to streamline the different aspects of Transport SDN." The OIF has planned a public workshop on “Transport SDN: Cutting Through the Hype - Enabling Technologies, Practical Use Cases, and Apps” for Monday, February 10, 2014 in San Jose, CA. In addition, the OIF is in the planning stages for a 2014 interoperability demonstration that would address Transport SDN. New Zealand's Hawaiki Cable Limited has awarded a turnkey supply and installation contract to TE SubCom to build a 14,000 km trans-Pacific cable linking Australia, New Zealand and Hawaii to the US west coast. 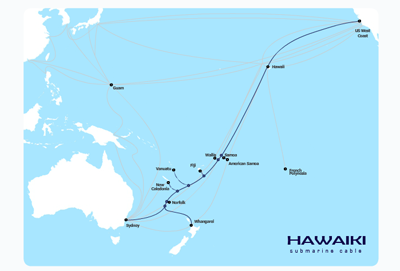 The Hawaiki cable system will be capable of 10 Tbps per fibre pair on the Australia/New-Zealand to USA trunk. A number of Pacific Islands located next to the cable route will be able to connect to the main trunk. The undersea cable system elements - known as ‘wet plant’ - will be based on 100 Gbps wavelengths technology and are designed for future upgrades as terminal equipment advances. 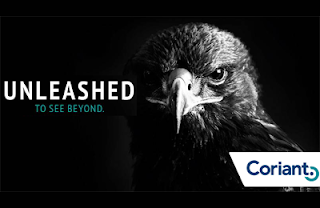 The cable system will also include SubCom’s Optical Add Drop Multiplexing (OADM) branching unit technology to connect multiple regional branches to the main cable. “Our procurement process first started in October 2012 and has progressed according to plan. The supply contract with TE SubCom is a major step forward for Hawaiki and adds significant momentum to our project” said Rémi Galasso, Chief Executive Officer of Hawaiki Cable Limited. The Hawaiki cable system is planned for completion in late 2015. Portugal Telecom inaugurated a next generation data center in Covilhã, Portugal, designed to serve as a global hosting center for IT and cloud computing infrastructure. The Tier III data center is divided into 4 main sections plus one support section, for a total area of 75,500 m². There are 24 infrastructure halls offering occupying 12,000m² of open equipment space. The data center boasts 100% renewable energy sources. There is an on-site photovoltaic power station that should supply 30 percent of the anticipated load.. A Free Air Cooling system will be used. Advanced control and monitoring systems will deliver a PUE of 1.25. 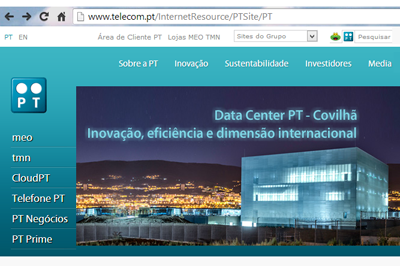 Portugal Telecom operates a total of 7 data centers located in Lisbon, Porto, Azores, Madeira and Covilhã. together, these facilities cover 17,000 m2 of equipment space. Coriant and A1, the Austrian subsidiary of Telekom Austria Group, conducted a field trial of 400G optical transmission and Space Division Multiplexing (SDM). The 400G field trial, which ran over a 660 km route between Salzburg and Vienna, used 8-quadrature-amplitude-modulation (8-QAM) transmission format, which significantly increases transmission reach compared to alternative approaches. The successful trial in a production network environment included 400G transmission co-propagated with 40G and 100G on A1’s currently installed Coriant hiT 7300 optical transport systems. from the internet via one single fiber. This trial activity was an important step toward deepening our collaboration with Coriant and facilitating seamless deployment of next-generation technologies,” said Marcus Grausam, CTO of A1. +Tektronix is expanding its short range and long haul 100G optical network testing capabilities with the introduction of a 32GHz Multi-Mode Optical Sampling Module and a 46GBaud Multi-format Optical Transmitter, giving customers enhanced capability to test silicon photonic components, network elements and systems as well as the coherent modulation formats used in next generation optical fiber networks. The new 32 GHz 80C15 multi-mode optical sampling module for use with DSA8300 Series Sampling Oscilloscopes provides high-fidelity acquisition of 850 and 1310 multi-mode signals. With a tightly controlled frequency response, it enables repeatable automated compliance testing for all of the short reach standards from 22 to 32 GHz. For long haul optical research and development applications, the OM5110 modulates all common formats including BPSK, PM- QPSK, and PM-16QAM up to 46GBaud with both fully automated and manual bias control of modulator and RF amplifiers giving users complete configurability and versatility. The OM5110 offers built-in C or L band lasers along with support for external lasers. Automatic bias control allows for quick setup and easy operation of the modulator while the manual bias control capability gives users the ability to take control of all bias voltages for testing specific scenarios. Included software provides control of all operating parameters via Ethernet, including laser power and bias control. 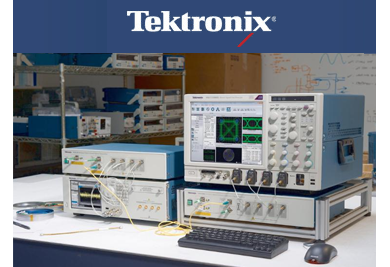 Tektronix said it is the only test and measurement vendor that can offer a complete coherent optical test system from signal generation, to modulation, acquisition, and analysis. "With the 80C15, Tektronix is responding to market needs for a highly accurate multi-mode short reach testing solution that can be used both in the lab and production environments," said Brian Reich, general manager Performance Oscilloscopes, Tektronix. "And to address the strong demand for more efficient long haul transmission over existing fiber, an instrument-grade optical transmitter such as the OM5110 will help researchers and designers gain a deeper understanding of coherent optical modulation methods." Xilinx is preparing to release OTN SmartCORE IP blocks for high capacity combined Ethernet and 100G OTN switching platforms and Packet-Optical Transport Systems (P-OTS) based on its 7 series devices. 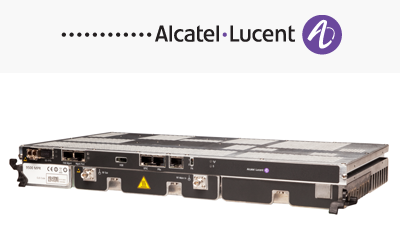 100G 1 Stage Multiplexer/Demultiplexer SmartCORE IP – Ultra-compact traffic aggregator, supporting any combination of up to 80 channels of ODUj traffic muxed into or demuxed from a high order ODU4. OIF compliant 100G SAR SmartCORE IP – 80 channel segmentation and reassembly core which packetizes ODUjs into packet flows. This enables ODU traffic to be switched through a packet switch fabric, facilitating Packet Optical Transport systems. 100G ODUMon SmartCORE IP – A bi-directional IP block used to perform overhead insertion and extraction on up to 80 ODUj channels. Used in conjunction with the Xilinx 128ch OTN Overhead Processor, it enables PM Monitoring, TCM Monitoring and/or TCM Termination and Generation with consequent action insertion for up to 6 levels of TCM on each of the ODUj channels. Xilinx said its SmartCORE IP part of a roadmap to deliver All Programmable solutions needed to create, differentiate and evolve intelligent 400G and Nx100G OTN solutions and OTN switching platforms. Xilinx SmartCORE OTN IP Cores for OTN switching will be available September 30th 2013.